Welcome Total Sports Blog’s NFL Training Camp Previews. For the next 31 days we will preview each team, and predict their records. The chances that we predict any of these records to be right will be around 20%, but who cares? WE’RE TALKING FOOTBALL!!! 2013 Record: 6-10, did not make playoffs. The 2014 Buffalo Bills could be one team that surprises many. Their offense ranked 22nd in the NFL last season in points per game (21.2) and have gone out and addressed some needs. They bolstered the offensive line by signing Guard Chris Williams and drafting Cyrus Kouandjio from Alabama in the 2nd round. Kouandjio has had some knee problems in the past, but has a lot of talent and could be a great 2nd round value pick for the Bills. Oh yeah that Watkins kid? 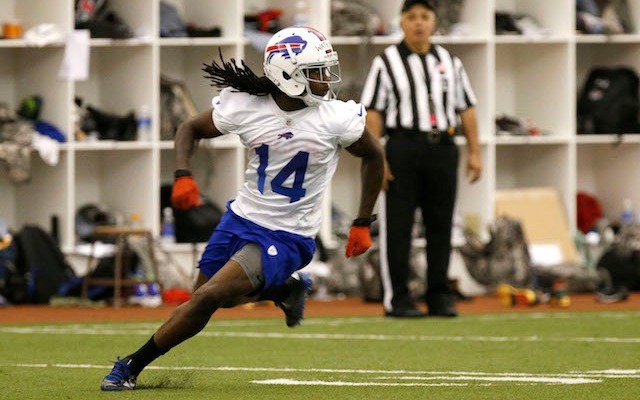 EJ Manuel now will have his target of the future in Watkins and a very nice complimentary receiver in Mike Williams. The Bills already have a dominant run game with Spiller and Jackson but if Watkins lives up to the hype and Manuel improves on a solid rookie season, the offense will be more balanced and very scary. Kiko Alonso will miss the entire season due to a torn ACL and that will be a huge void to fill; however, if the Bills can get some good football out of Brendan Spikes, that will help. Mario Williams needs to keep pressure on the QB and keep racking up the sacks. That should help mask some of their secondary issues. I like this team. They are young, talented and I think are ready to turn the corner of consistent losing seasons in Buffalo. I think this team is two years away from being a division contender, but this season I think they will be a tough team to play against; especially if Manuel and Watkins find some chemistry.